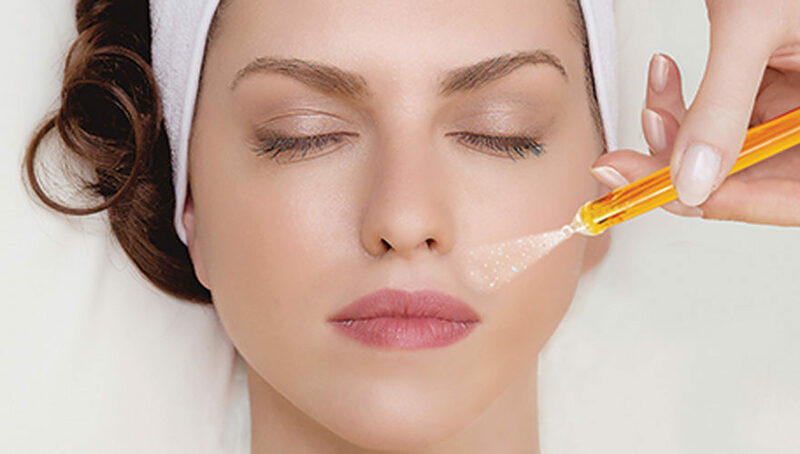 You are at:Home»Lunchtime Treatment Guides»What is oxygen facial therapy? It keeps cells alive, helps them reproduce and regenerate. Oxygen is also a provider of energy and protects us from unfriendly bacteria and diseases. These traits have caused the rising popularity of the treatment and its appearance in many spas and facial centres. Another cause of its popularity might also be the celebrity endorsements from megastars like Madonna. She’s touted the treatment for the results it produces; smoother and plumper skin which hides blemishes and gives the face a more youthful appearance. An Oxygen facial is commonly indulged in before a party or big event. Science has proven to us that our skin cells are the last to receive the oxygen that we breathe in and oxygen facial has been said to fight visible signs of ageing. These signs are caused by the poor conveyance of oxygen from the capillaries to the skin’s surface. This slow delivery of oxygen results in slow cell regeneration, causing the skin to appear dull due to the occurrence of wrinkles and brown spots. The facial corrects this by delivering highly concentrated oxygen molecules directly into the skin. This stream of oxygen also contains botanical, vitamins, minerals and nutrients. When all these ingredients combine and are delivered directly to the skin, the skin is given a smoother and plumper look as well as a glow. This is then followed by an oxygen-rich serum or skin cream. The increase in oxygen levels in the skin does many things: enhance new cell growth, enhance the skin cells’ metabolic health and the functionality of the skin’s blood vessels. This causes an increase in blood flow and results in an improvement in the body’s ability to absorb and use vitamins, proteins and other nutrients as well as to metabolise. The treatment was developed by Australian company Intraceuticals and has an accompanying skincare range to complement it. The company says that the an oxygen facial is gentle, soothing and suitable for all skin types. The treatment promises skin that both looks and feels younger is nourished and has stimulated skin renewal. The treatment also claims to eliminate fine lines and blemishes in just a 30 minutes session. An Oxygen Facial can contribute to younger and healthier looking skin. The procedures usually cost a minimum of $140 and consist of 6 weekly treatments that are followed by monthly facials. Many medical professionals doubt the credibility of that treatment but there is plenty of evidence that says otherwise. The benefits of this treatment are great too; it is cheap, fast and does not have the side effects of patented drugs. How is the procedure oxygen facial therapy performed? Diluted hydrogen peroxide is administered daily via an IV drip. An oxygen facial is soothing and great for relaxing. It is best to get one done by the hands of professionals in a salon or studio. 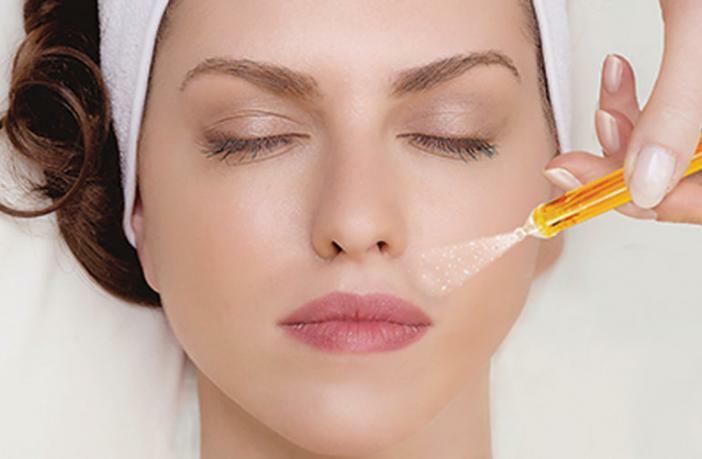 There are many varieties of facials out there but they all serve the same basic benefits. Types of Oxygen Facial Treatments and their benefits. Exposure to factors like smoke, smog, sun and dust can dry the skin out and leave it dehydrated. Treatments to restore the moisture to the skin will restore your skin to its former glory. A regular treatment will boost the energy of the skin and have it looking better and healthier than before. The treatment will only take 30 minutes so you won’t have to set aside half a day to feel good. These treatments start with a purifying cleanse, followed by steam therapy, extractions, a light massage and ends with a face mask. The steam softens the oils in the pores and eases the extraction process. The face cream locks in the moisture from the steam session. Your skin will be left feeling tighter and smoother than before. While no one likes the idea of wrinkles, they are inevitable. The solution to that is a treatment that stimulates the regeneration of collagen in the skin to clear it and give it a better texture. The process begins with a deep cleansing, followed by an extraction, a drainage massage of the lymphatic nodes and a vitamin-infused mask. The mask reduces the redness of the skin after the extraction, hydrates the skin and gives the skin a healthy glow. As with many treatments, it is best to consult a dermatologist to determine the treatment best suited for your face. 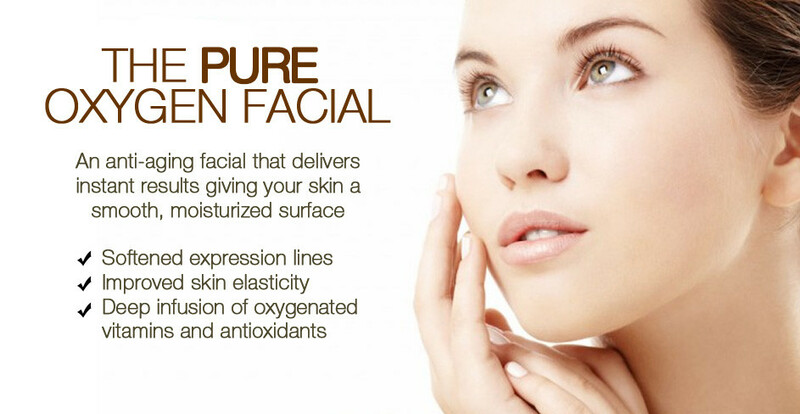 The ideal oxygen facial treatment will leave you feeling refreshed and relaxed.